Couch, Isaac Vose & Son, with Thomas Wightman, carver, Boston, 1824. 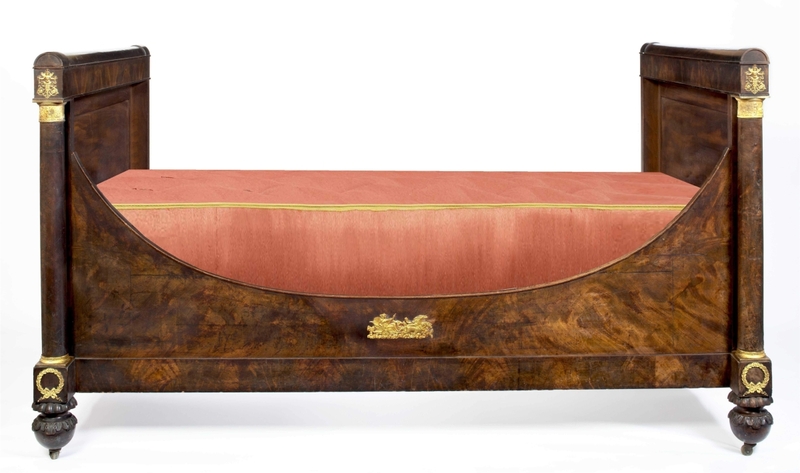 Birch, mahogany, rosewood graining, rosewood, oil gilding, brass, original underupholstery, modern stamped wool plush fabric and brass edge trim; height 35¼ by width 85 by depth 24-3/8 inches. 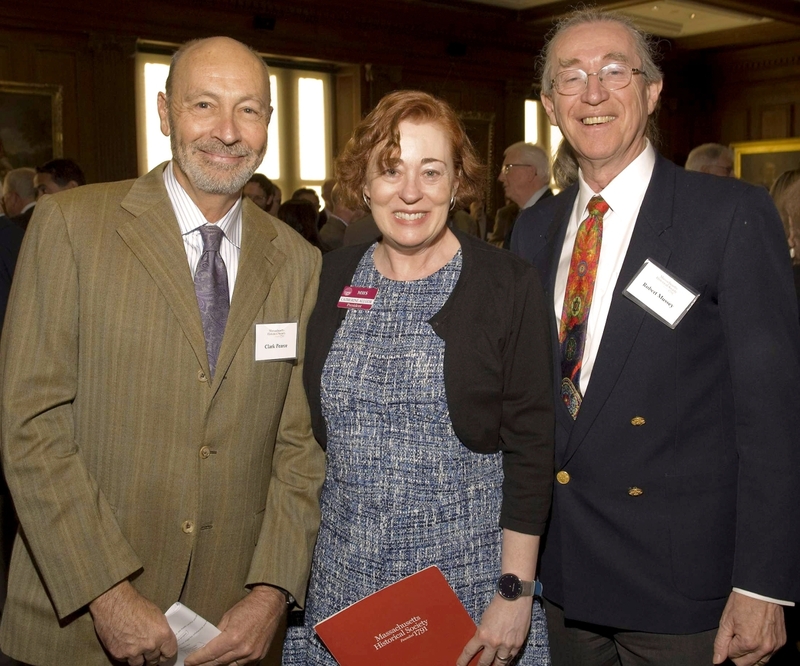 Historic New England, gift of the Massachusetts Historical Society; photo, David Bohl. 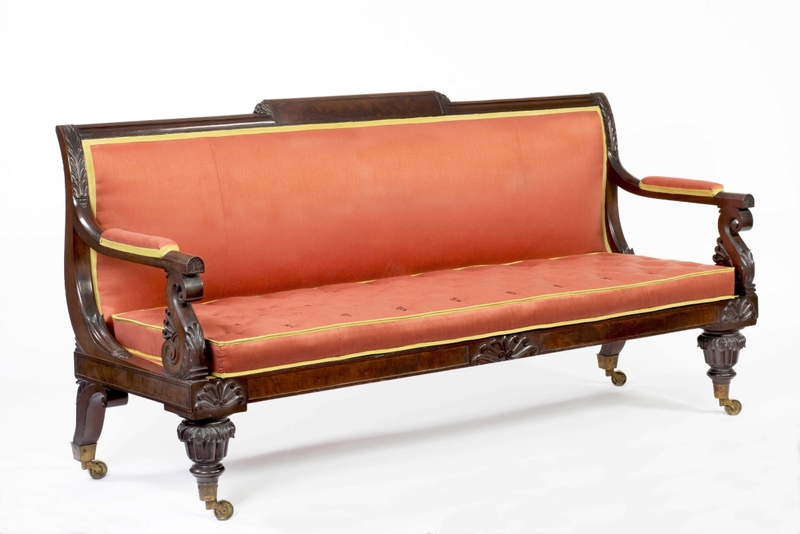 The couch was one of 72 pieces made by Isaac Vose & Son for the city of Boston to furnish General Lafayette’s lodgings when he visited Boston in 1824. Aficionados will find the book’s introduction fascinating and disconcerting. Fascinating because it suggests the broader arc of the Americana movement in the last quarter of the Twentieth Century, disconcerting because it relegates a passing generation to history. Mussey, the chapter’s author, identifies all the key players in the Classical arena, from Berry B. Tracy, Stuart Feld and Jane and Richard Nylander, among others, to Pearce. The looming presence is Mussey, whose books The Furniture Masterworks of John and Thomas Seymour (2003) and, with Pearce, Rather Elegant Than Showy: The Classical Furniture of Isaac Vose, will shape scholarship for decades to come. Rather Elegant Than Showy is meticulous and nearly exhaustive, its prose confident, graceful and laced with humor. 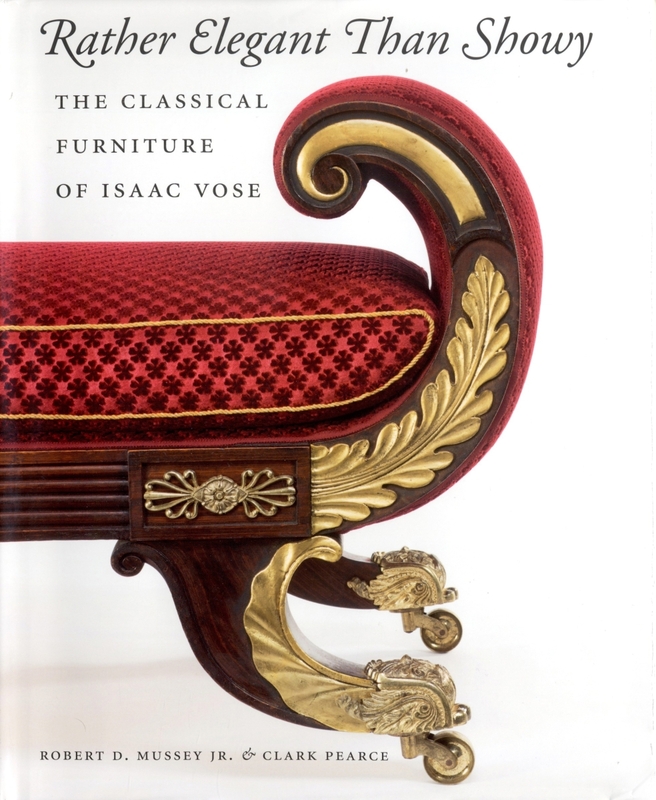 Coming from one who makes his living advising collectors, Pearce’s authorial contribution, a 70-page guide to evaluating furniture by Vose, his partners, employees and contemporaries based on construction and connoisseurship, is striking in its generosity. Beyond that, Mussey and Pearce skillfully bring to life the web of professional and personal relationships among tradespeople and their customers in Boston, creating a cultural history with transcendant appeal. Their success, one suspects, has partly to do with instructions they received when the Massachusetts Historical Society (MHS) invited them to organize the companion exhibit “Entrepreneurship & Classical Design in Boston’s South End: The Furniture of Isaac Vose & Thomas Seymour, 1815 to 1825.” The show, on view through September 14, features paintings, portraits, documents, receipts, maps, objects, broadsides and period lighting. 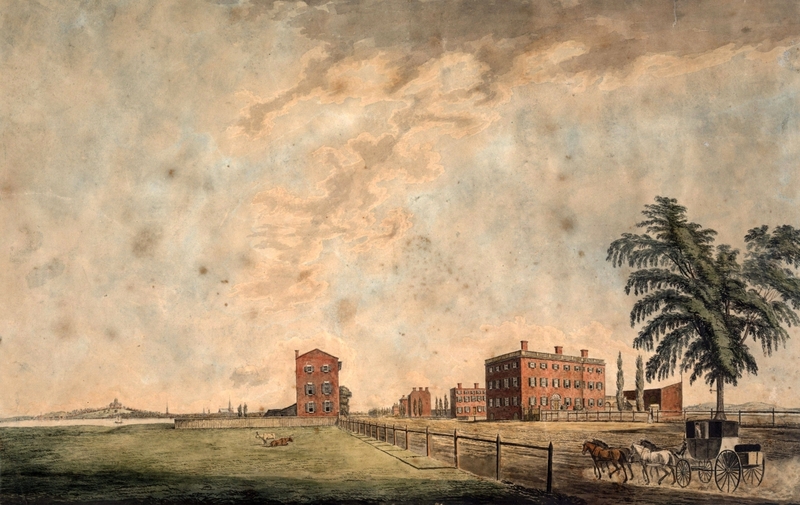 MHS specifically asked the collaborators to focus on the early history of Boston’s South End. Less familiar than fashionable Beacon Hill, the South End is where Isaac Vose (1767-1823) established his business and first recruited clients. The earliest tax record for Vose’s shop dates to 1790. After working as an independent contractor until 1805, Vose formed a partnership with his former journeyman Joshua Coates in 1806, becoming Vose & Coates. He renamed the business Vose, Coates & Son after his son Isaac Vose Jr (1794-1871) joined him in 1815. When Coates was thrown from a carriage and died in 1819, the business, which closed in 1825, became Isaac Vose & Son. 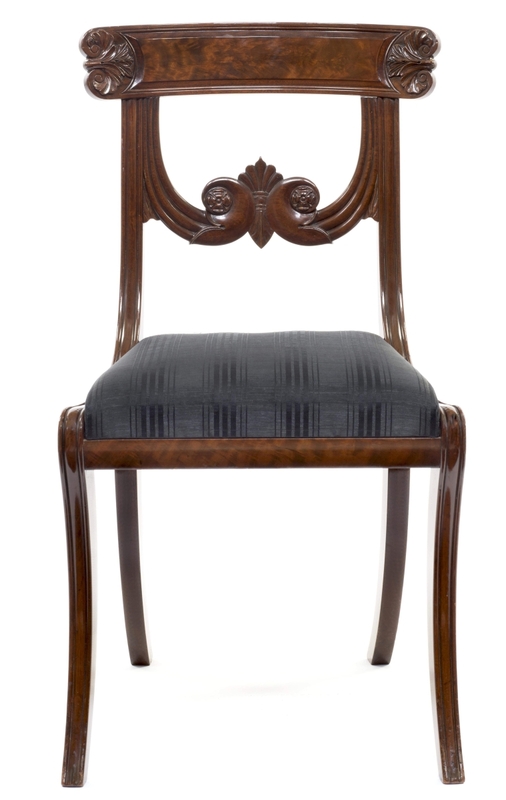 The scholars settle on the term “late classical” to describe the furniture made in Boston as early as 1808 and as late as the 1840s, noting that during Vose’s career it was universally called “Grecian.” Boston furniture was, on the whole, less flamboyant than its counterparts in New York, Philadelphia or Baltimore, in part because Bostonians mostly took their style cues from England, not France. There were exceptions, of course. Mussey writes of John Lowell shipping from Paris through the port of Bordeaux quantities of furniture, trunks full of pictures and prints from Naples, marble chimney pieces from Leghorn and iron railings from London. 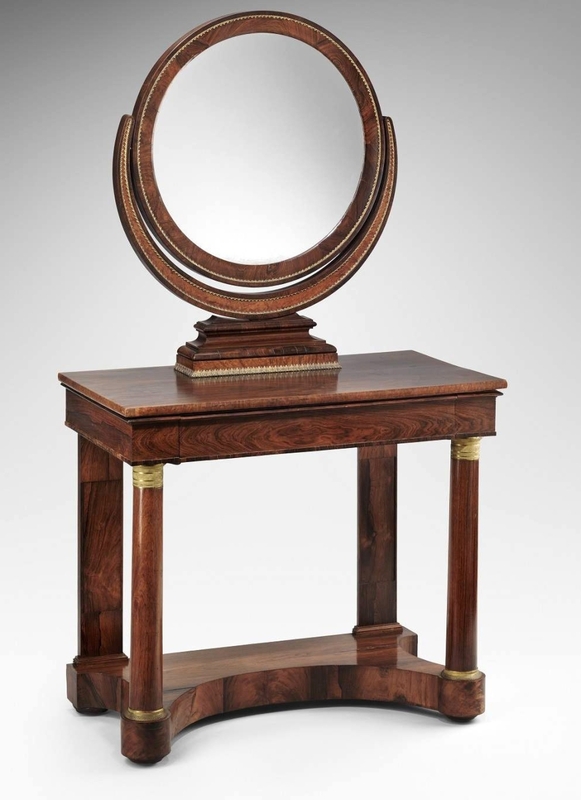 Mussey and Pearce first spoke of a Vose project in 2003, when “Luxury and Innovation: Furniture Masterworks of John and Thomas Seymour,” the exhibition based on Mussey’s research on the Seymours, opened at the Peabody Essex Museum in Salem, Mass. Mussey says he knew little about Vose, notwithstanding the fact that the cabinetmaker, who excelled as a merchant, hired Thomas Seymour (1772-1848) as his foreman in 1819, after Coates died and Seymour’s own business folded. The scholars’ work on Vose was well underway when they contributed “Classical Excellence in Boston: The Furniture of Isaac Vose, 1789-1825″ to Boston Furniture 1700-1900, edited by Brock Jobe and Gerald W.R. Ward and published in 2016 to document the Four Centuries of Massachusetts Furniture project, kicked off in 2013 with a symposium at Winterthur Museum at which Mussey and Pearce spoke. 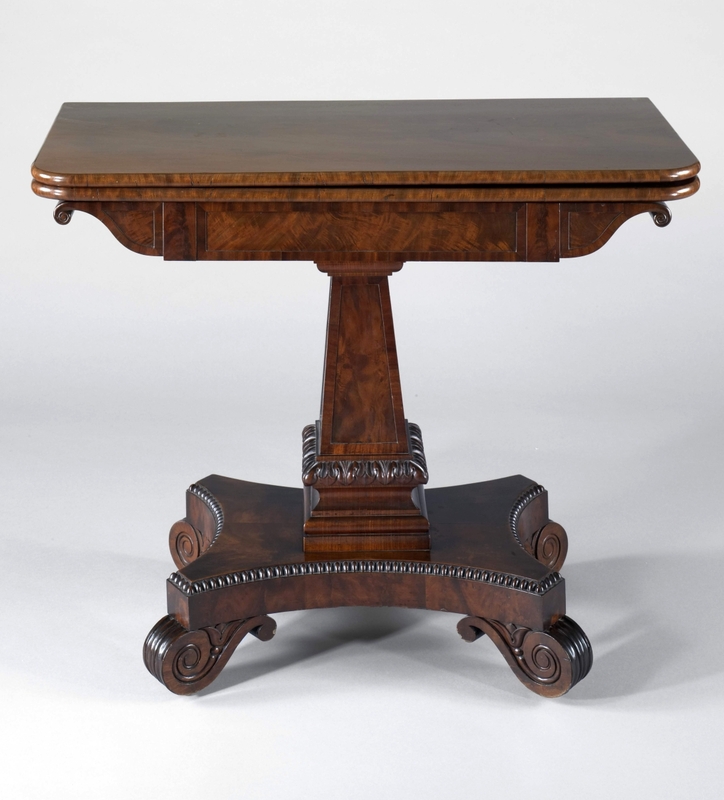 With only seven known labeled pieces of Vose & Coates or Vose & Son furniture to guide them when they started (an eighth surfaced at auction shortly after they began), Mussey and Clark augmented their study with an ambitious review of archival sources, coupled with analysis of the furniture itself. 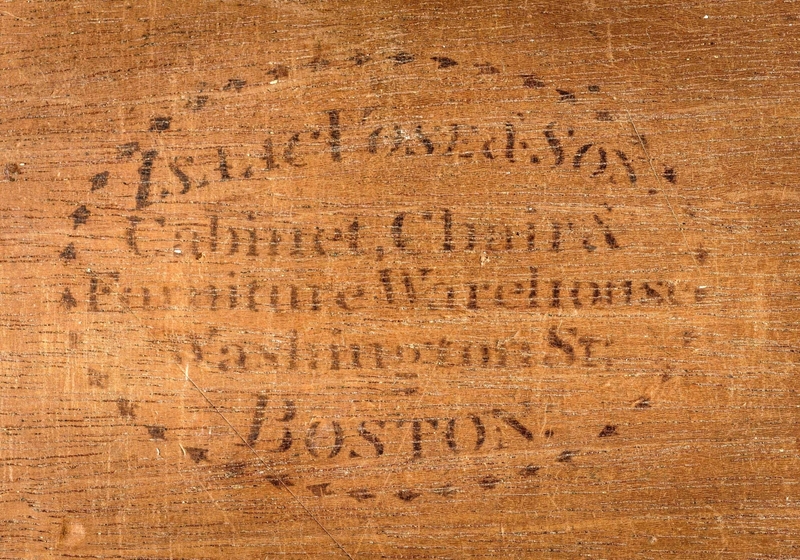 They compared known Vose furniture with that of competing Boston cabinetmakers such as Emmons & Archbald, looking at hundreds of pieces of undocumented, unsigned works. They discovered a few additional receipts and many account-book entries, successfully matching them to specific pieces of furniture. 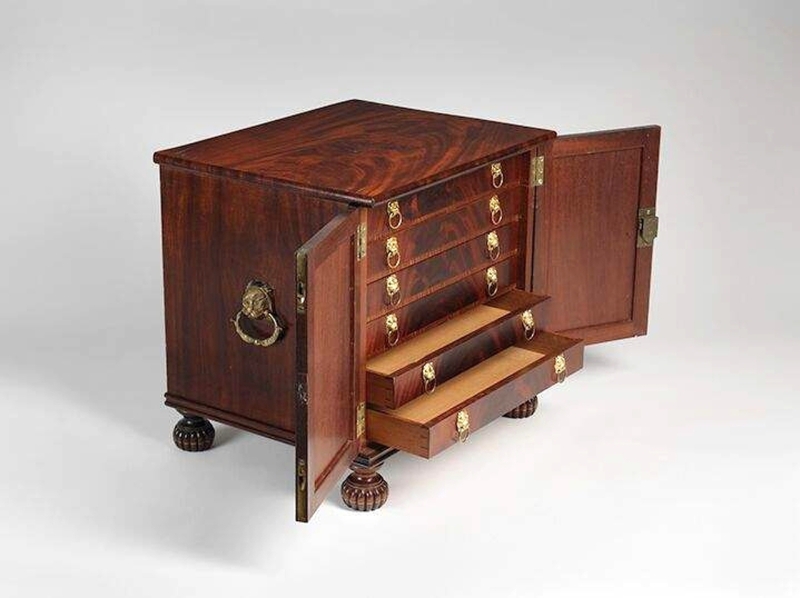 Given the availability of pattern books and prototypes, and the fluidity of Boston’s labor market, it is perhaps not surprising that they attributed few forms to specific Boston cabinetmakers. The membership roll of the Bunker Hill Monument Association was especially helpful, as were the diaries of Mehitable Sullivan Cutler Amory (1772-1847), who lived at 9 Park Street, opposite the Massachusetts State House, and kept close tabs on Boston’s social whirl over 25 years. Mussey also surveyed the Hollis Street Church pewholder lists and Boston Tax Assessors’ records. What emerged was a portrait of the first families of Boston, united by marriage, position and enterprise. Aided by the supreme artisan Seymour and carver Thomas Wightman, along with immigrant journeymen skilled at veneering, joinery and upholstery, the Vose shop was at its height between 1821 and 1824, when it supplied eight leading Boston families: the Everetts, Parkmans, Websters, Codmans, Nortons, Eliots, Ticknors and the Searses. Vose’s greatest masterpieces, writes Mussey, were for David Sears Jr (1787-1871). 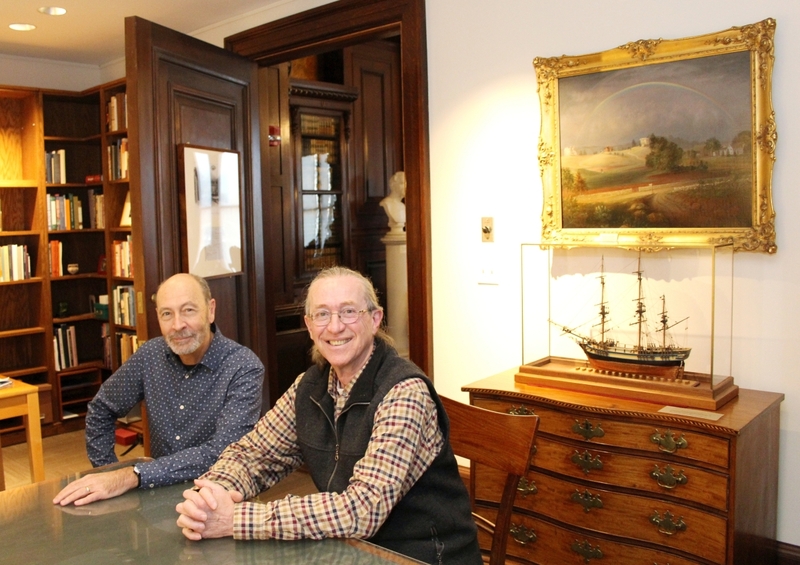 Clark Pearce, left, and Robert D. Mussey Jr, right, in a meeting room at the Massachusetts Historical Society in February. They first contemplated a Vose project in 2003, when “Luxury and Innovation: Furniture Masterworks of John and Thomas Seymour,” the exhibition based on Mussey’s research on the Seymours, opened at the Peabody Essex Museum in Salem, Mass. Serious discussions on Vose ensued in 2010 after Mussey sold his furniture conservation workshop. Mussey devotes an entire chapter to commissions for another family, the Salisburys of Boston and Worcester. A trove of family papers at the American Antiquarian Society documents Elizabeth Salisbury’s purchases, a substantial quantity of which were bequeathed by descendants to the Worcester Art Museum. In combination with labeled examples, Mussey and Clark used the documented Salisbury group to compile a checklist for identifying characteristic features of Vose furniture. Owned by MHS and included in the exhibition, the journal of Eliza Susan Quincy, daughter of Boston’s first mayor, Josiah Quincy (1772-1864), underpins one of the Vose story’s most animated chapters. Eliza, who served as her father’s unofficial secretary during Lafayette’s 1824 visit to Boston, offers a detailed account of the social festivities. The ladies, in a collective swoon, wore white satin ribbons and gloves imprinted with likenesses of Lafayette. The city hired Isaac Vose Jr – his father had died of a brain fever the year before – to supply 78 pieces of furniture, plus fancy imported lighting and bracket supports, for Lafayette’s temporary quarters at Park and Beacon Street, opposite the Massachusetts State House. 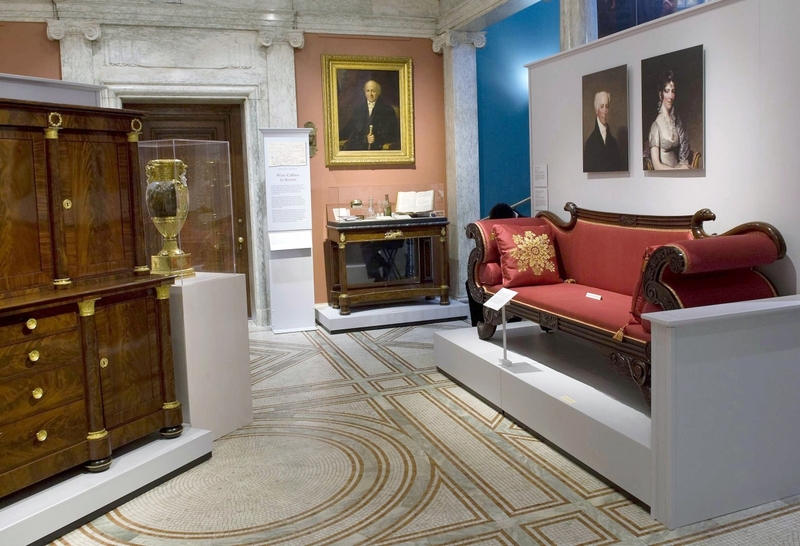 Not wanting to appear profligate, the city auctioned the trove – “among the largest documented furniture purchases known from any period of Boston’s history, and among the most important,” Mussey writes of the group that included a rosewood grained and gilded couch, now at Historic New England, and 16 chairs with “crimson plush seats” – soon after Lafayette’s departure. Mussey credits the “extraordinarily helpful” Richard Nylander with providing key bits to this important research. Account books led the scholars to assign five French beds to Vose & Son. One, paid to John Quincy Adams by Daniel Webster in lieu of a debt, is at Adams National Historical Park. “Webster was famously chaotic in his finances,” Mussey says. Mussey and Pearce were tipped off to a vast private collection, begun in the 1970s and all but unknown to experts. Pearce recalls, “The place was just packed, chockablock full. 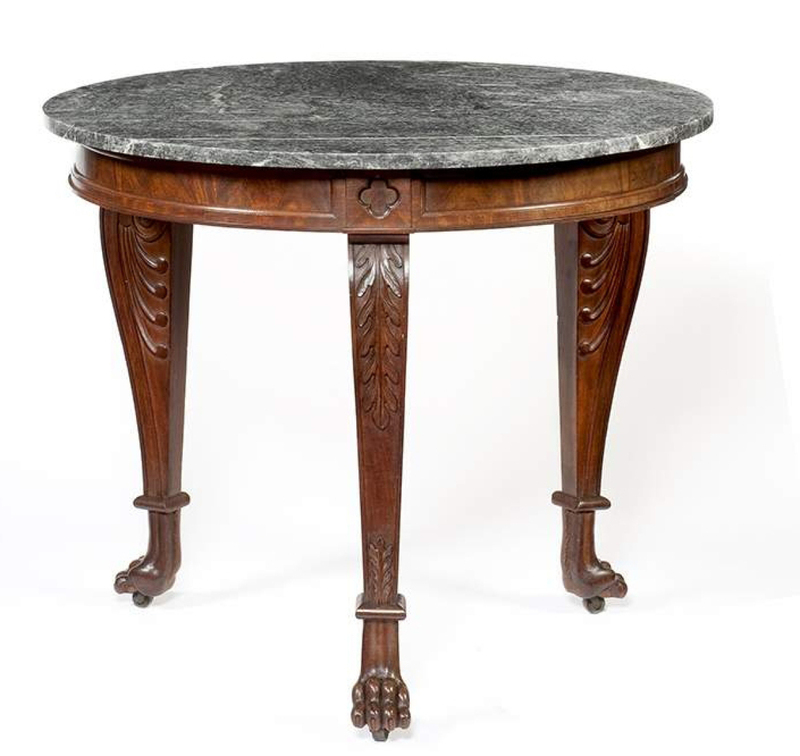 At the top of the stairs in an outbuilding was a paw-foot center table like nothing we’d ever seen before.” Upon examination, the experts concluded that the example, now fitted with a replaced grey-green marble top, was likely made by Thomas Seymour between 1818 and 1820. 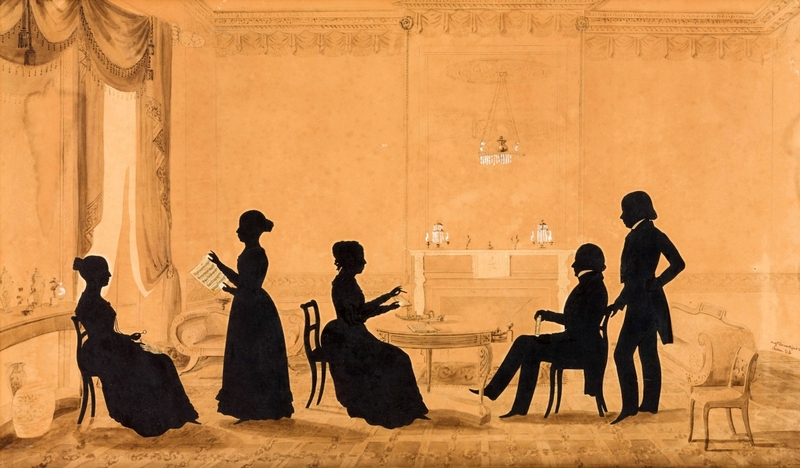 It and an en suite marble-top pier table, now in a private collection, appear to be those depicted in Augustin Edouart’s 1842 silhouette of Daniel Parker and his family in their parlor at 40 Beacon Street, the double-house they shared with Vose client Nathan Appleton. 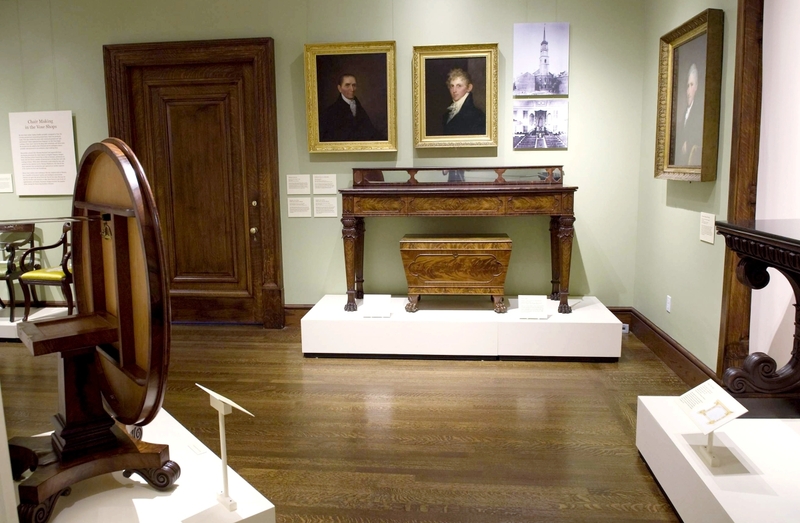 A view of an exhibition gallery devoted to furniture, left, made for David Sears; center, for John Davis Williams (1770–1848); and right Stephen (1746–1829) and Elizabeth Salisbury (1768–1851). The linen press, left, is attributed to Isaac Vose & Son, 1819–22, and is from a private collection. The portrait of Williams, center, is attributed to Chester Harding, 1830–40 and is owned by the South End Historical Society. It hangs above a pier table, one of a pair attributed to Vose, Coates & Company that belonged to Williams. Right, the portraits of Stephen and Elizabeth Salisbury are by Gilbert Stuart, 1823–24. 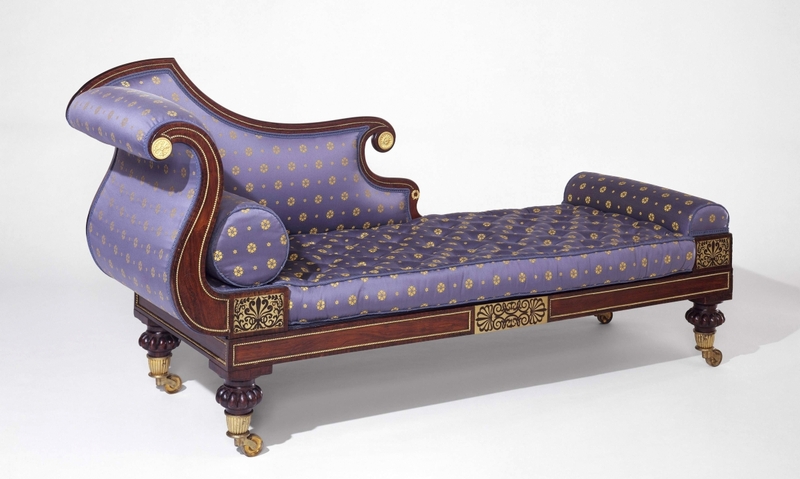 The sofa is attributed to Isaac Vose & Son, with Thomas Wightman, carver, Boston, circa 1820. Thanks to Robert D. Mussey Jr and Clark Pearce, we suspect the sofa was made by Vose, whose story is at long last told. The researchers leave for another time comparable investigations of the careers of Emmons & Archbald, Timothy Hunt, Cornelius Briggs, William Fisk, Henry K. Hancock and other makers intimately associated with the first families of Boston. For dates and times of gallery talks, which continue through the summer, or for information, www.masshist.org or 617-536-1608. The Massachusetts Historical Society is at 1154 Boylston Street. 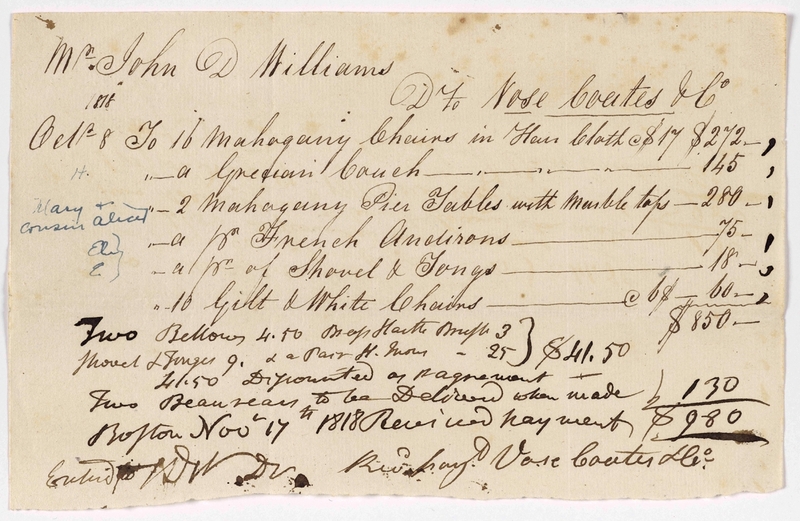 Receipt from Vose, Coates & Company to John Davis Williams, Boston, November 17, 1818, including a charge for the pier table. Courtesy Museum of Art, Rhode Island School of Design, Providence; photo, Erik Gould.